Recipients of the 2015 Global PhD Fellowship are posing for a portrait after receiving the awards. 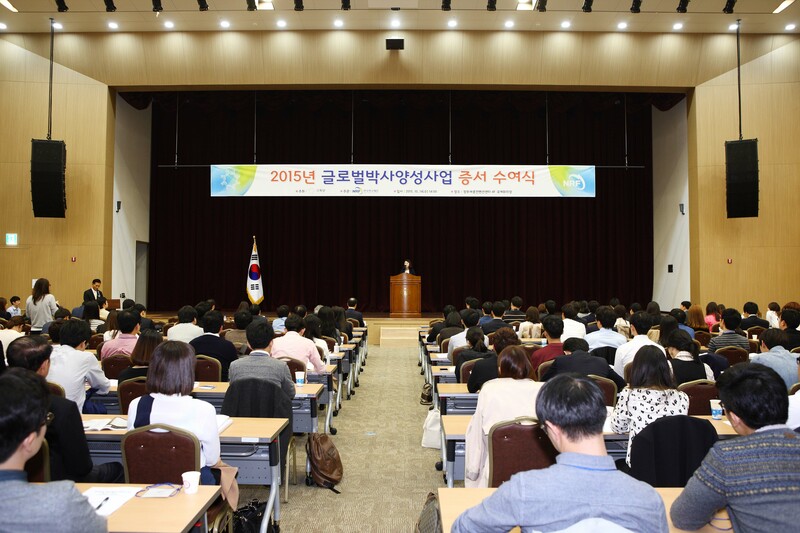 On October 14th, 21 UNIST students in the doctoral program and the combined master-doctoral program have been awarded a 2015 Global Ph.D. Fellowship Program (GPF), a competitive nationwide education program provided by the National Research Foundation of Korea (NRF). According to statistics, the accumulated numbers of GPF recipients at UNIST reached 62 this year. 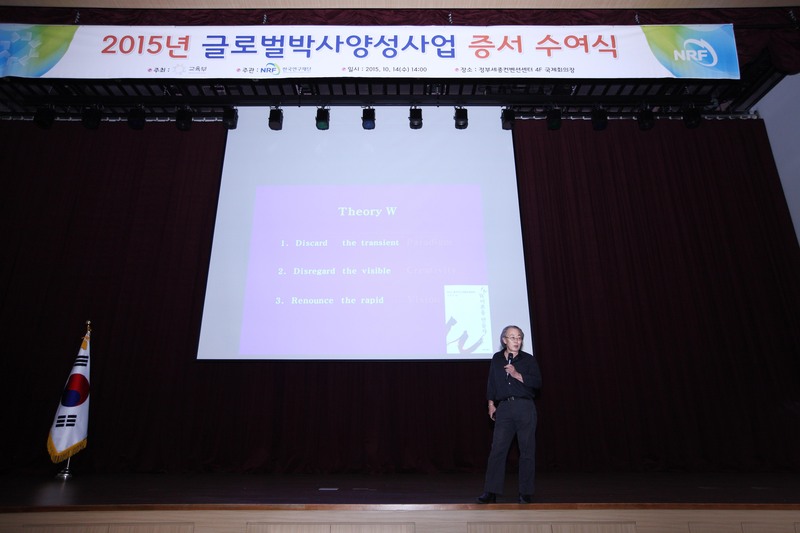 That is the fifth largest in number followed by Seoul National University, KAIST, POSTECH, and Sungkyunkwan University. The selection committee selected Hee-In based on an evaluation of her research proposal, entitled “Transactions on Circuits and Systems II.” The fellowship will provide funds for her salary, travel, and research expenses until completion of her PhD. 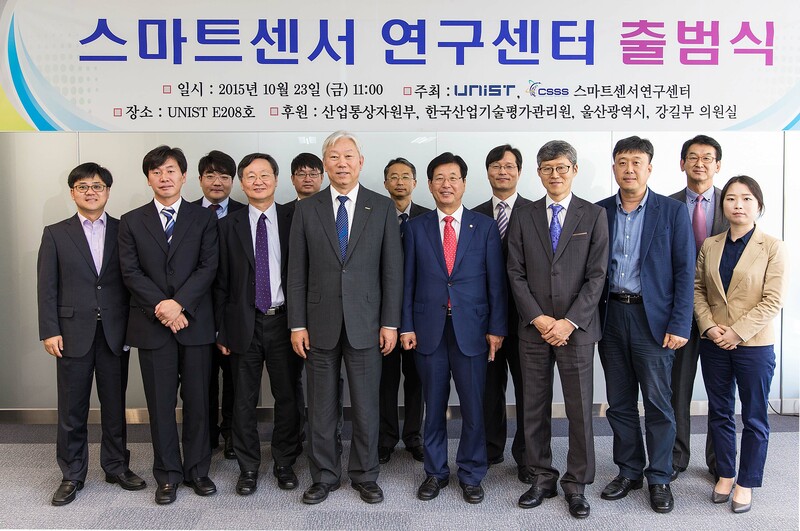 “We hope that this fellowship will provide a substantial platform for fruitful research activities across many disciplines,” says UNIST President Mooyoung Jung. 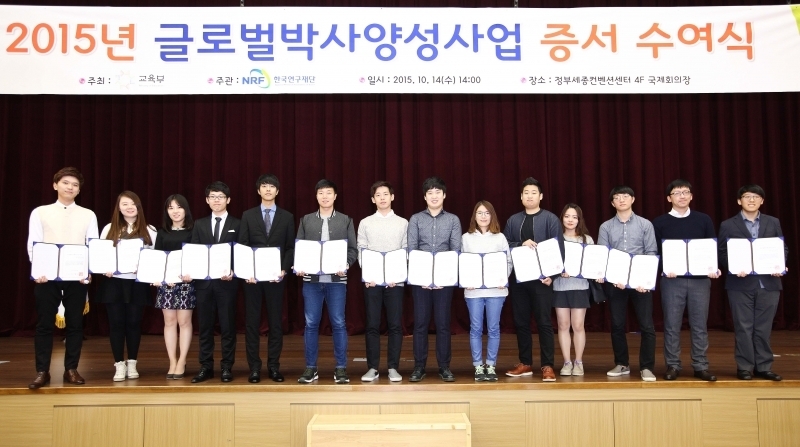 The program is designed to support talented students with two-year intensive support through an annual grant of 30 million KRW, thereby allowing them to focus on their study and research without financial concerns.